· Check all window and door locks for proper operation. If all locks are working properly they will help deter potential criminals from breaking in your home. All exterior doors should have deadbolt locks. If they do not, consider installing them. · Check your home for water leaks and prevent future leaks. Clear and remove debris such as sticks and leaves from gutters and downspouts. If you notice water stains on the ceiling, inspect your roof for cracked, curling or broken roof shingles and replace or fix them. Check the roof valleys, flashing, vents and chimney flues for leaks and make repairs. · Make an appointment with a heating professional to service your furnace. Replace the furnace filter. Also hire a certified chimney sweep to inspect chimneys, flues and dampers for fireplaces and woodstoves. Clear all pipes of soot and creosote. · Make sure stairways are safe. Install nightlights (or replace bulbs) at the top and bottom of each stair case. Resurface stair treads covered with tile, wood or concrete with no-slip treads. Clear the stairways. Nothing should be stored on the stairs. Create a clear walking path. Inspect handrails to make sure they are sturdy and anchored properly. 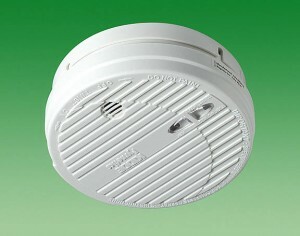 · Inspect smoke and carbon monoxide alarms. Make sure both of these life savers are in proper working order. Replace batteries in battery operated alarms. Dust and test them. · Prepare your home for winter. Protect you pipes to prevent freezing with the temperature drops. Inspect, repair/replace window and door seals including caulking to prevent heating loss throughout the winter months. With a little effort, The House Plan Shop is certain you will have this fall maintenance check list done in no time.